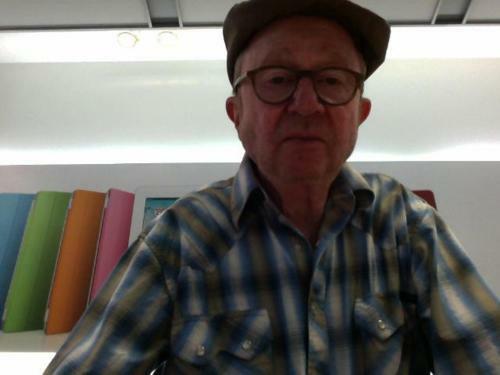 Kyle McDonald initiated the project, entitled People Staring at Computers, in June, using software to capture the expressions of customers using demo Macs in Apple Stores around New York, Mashable reports. Over the course of three days, McDonald installed his software, which captured photos every minute and sent them to a server, on roughly 100 computers in the company's stores. The artist has created a blog displaying the images. 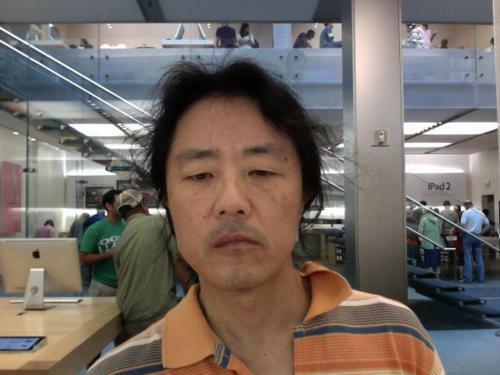 In early July, he arranged an unauthorized exhibition at two Apple stores where customers were first shown a picture of themselves and then photos of other Apple store visitors. Earlier this week, McDonald released a video compiling the captured images and showing footage of the exhibition. After his servers received an image from what appeared to be an Apple technician who had traced the program and installed the software himself at the company's headquarters in Cupertino, Calif., McDonald realized his work had attracted the company's attention. At first, he thought Apple had Days later, four Secret Service agents visited his house with a search warrant for computer fraud. According to the report, they confiscated two computers, an iPod and two flash drives and notified him that Apple would contact him separately. McDonald, who holds a master's degree in electronic arts, maintains that he hasn't broken any laws, although he does admit that his project might make some people uncomfortable. The artist noted that did receive permission from Apple's security guards to photograph in the store and first checked with customers about taking their photos with a camera. He also said people who do not want to be part of his project can ask to be removed. In an email sent to ifoAppleStore, McDonald said, My understanding is that legally, these people are in a private space that is open to the public and therefore can be photographed without consent. I asked the Apple store security if it was ok to take pictures, but did not specify the means of taking photos. They said it was good, and encouraged me to take photos." For its part, Apple recently celebrated the 10th anniversary of its retail stores. The company's retail business is in flux, however, as Apple is actively searching for a new retail chief after its senior vice-president of retail Ron Johnson announced that he was leaving after 11 years with the company to become the CEO of retailer J.C. Penney. Johnson is credited with playing an vital role in the success of Apple's retail stores, which have become some of the most profitable and well-branded stores in the industry. Recently revealed internal documents indicate that the company exercises "intensive control" and meticulous planning over its retail operations. For instance, Apple "Genius" technicians are trained not to use the word "unfortunately" and instead say "as it turns out."